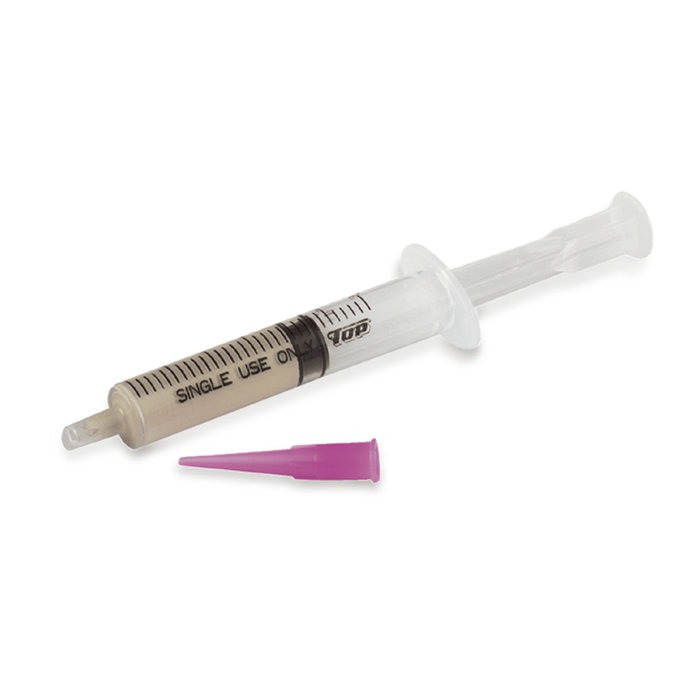 This PMC3™ slip/paste comes ready to use in a convenient applicator syringe, saving you the time of having to thin out clay yourself. Ideal for repairs, connecting clay parts and adding details to your designs. When fired at 1,650° for two hours, PMC3 is the strongest fine silver metal clay available. It has a finer, smoother composition that’s easy to work with and manipulate. You can also embed findings with confidence--firing at a low temperature means they won’t be heat-damaged. PMC3 is suitable for torch-firing as well as kiln-firing. 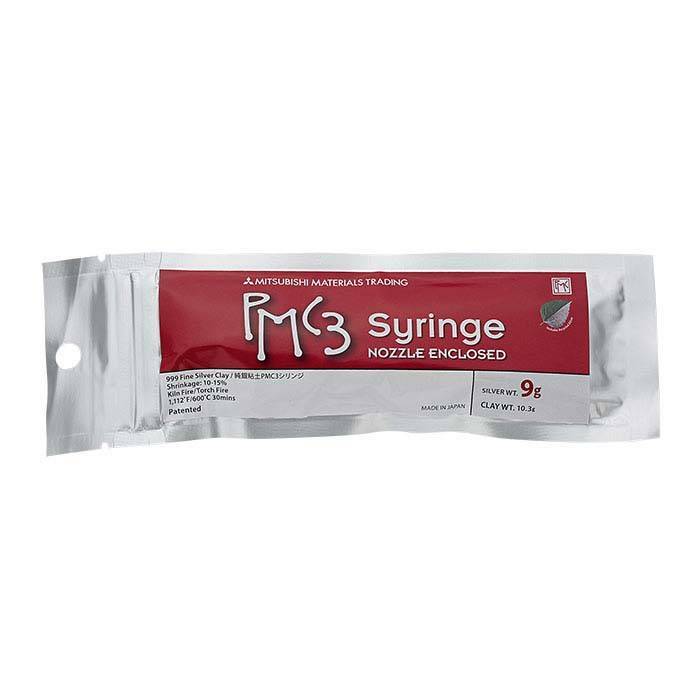 Each syringe contains 9g of metal, in slip form. Slip is used to create fine detail by applying the silver through the syringe tip.